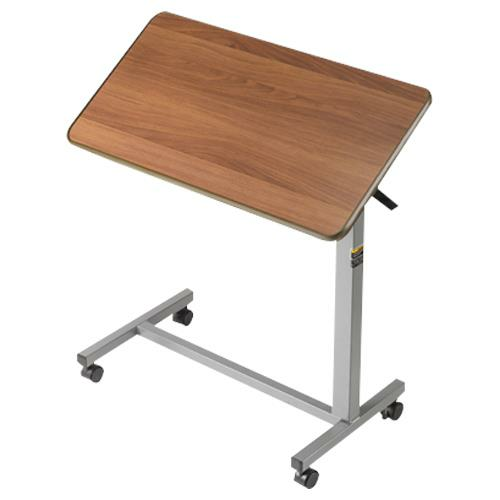 Invacare Tilt Top Overbed Table are practical, easy-to-use units suitable for both homes and institutions. The height of the tables easily adjusts for comfort while reading, writing or eating. They feature an attractive walnut wood-grained laminate top with a T-molded edge that is designed to resist damage. Height adjustment: 30" to 45"